Let me just get this out of the way: I might be really biased on this subject. 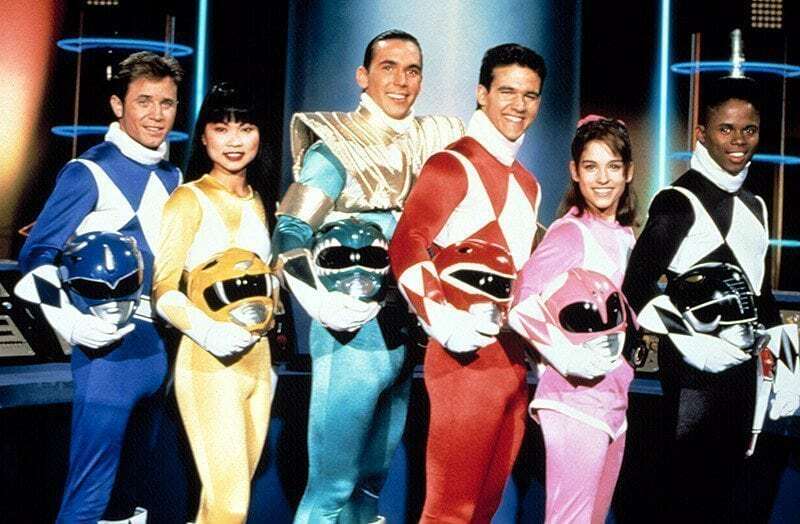 I loved Mighty Morphin Power Rangers unconditionally as a child. I grew up in that perfect time where I was young enough to really appreciate the iconic show about the teenagers in multi-colored jumpsuits that fought monsters summoned by a lady that lives on the moon. Which I believe was the official description for the show in TV Guide. I had the action figures, I had the VHS tapes, and I went as the White Ranger on Halloween, complete with the iconic Saba sword. Although I couldn’t actually trick or treat because I had chicken pox. But that’s not the point. You see, people these days seem to look back on Mighty Morphin Power Rangers as extremely silly and somewhat of a fad. And, up until about two years ago, I agreed. I still thought it was just another formulaic show meant to sell toys to kids. Well, it kind of still was. But much like another kid’s show meant to sell toys, there’s more than meets the eye. And so, in celebration of the Power Rangers reboot that I’m definitely going to see and enjoy no matter what because of my nostalgia goggles, allow me to explain why this series deserves a bit more respect. Around two years ago, while surfing the internet instead of doing anything remotely productive, I discovered a video series called History Of Power Rangers, created by Channel Awesome’s Linkara. I quickly learned that there was a surprising amount of creativity that went into pretty much every season of Power Rangers. You see, Mighty Morphin Power Rangers (and pretty much every other incarnation) used footage from a Japanese television show called Super Sentai for the action scenes. I know what you’re thinking: “Wow Anthony, that’s pretty lazy and you’re taking a long time to get to the point.” And, on the surface, it is. And I am. But consider this: this wasn’t some direct adaptation or anything. They literally had to use this footage and write different stories around it. If a robot was destroyed in Sentai, they had to write around it. If a character was missing for an action scene in Sentai, they would have to write a reason for the character to be gone in Power Rangers. If someone got a meatball stain on their spandex suit in Sentai, they’d have to write it into Power Rangers. You get the idea. And, while I had always thought of Power Rangers having simpler storylines, I didn’t realize how complex the series got until I watched History Of Power Rangers. There would be season-long arcs and five-part episodes that I probably didn’t give enough credit to when I was younger. As the series went on, major characters would even be killed off Walking Dead-style. Welcome to the real world, kids. I realize that Power Rangers is a silly show. It’s very much of its time, and much of the dialogue and acting can be very cheesy. However, after all these years, I’ve found myself appreciating it more than ever. With a creative writer’s room that had to craft their own episodes from an entirely different TV show, I believe they should be applauded. Especially whoever came up with the rapping pumpkin from season one.